BOTTOM LINE: Brian Brohm takes over for Stefan LeFors at QB, so don't look for much drop-off there. Six more offensive starters return as well, including three WRs and RB Michael Bush. Every game is winnable. 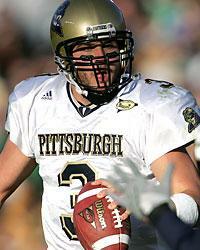 BOTTOM LINE: Tyler Palko emerged as a big-time QB late last season, but the Panthers have a new head coach in charge. Still, sixteen starters are back from a team that won six of their final eight games in 2004. BOTTOM LINE: The Mountaineers missed their chance to make a BCS run in 2004, and now just nine starters return from a year ago. 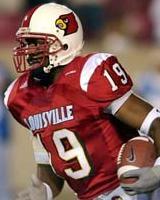 Star players like Rasheed Marshall, Chris Henry, and Pac-Man Jones have all left town. BOTTOM LINE: The Bulls won only four games a year ago but return seventeen starters in 2005. If USF can win road games at places like Connecticut and Rutgers, six wins is a definite possibility. BOTTOM LINE: The Orange trounced BC to end the regular season but dropped a bowl game and then their coach. New head man Greg Robinson takes over and faces a brutal first-year non-conference schedule. BOTTOM LINE: UConn was impressive in 2004, winning eight games and going .500 in league play. A dozen starters are back, including RBs Terry Caulley and Cornell Brockington, but QB Dan Orlovsky must be replaced. BOTTOM LINE: The Scarlet Knights have a chance to make some noise in 2005. Seventeen starters are back from a year ago, but that team won just four games. Defending the home turf is crucial. BOTTOM LINE: The Bearcats had good success in 2004, a season that wrapped up their CUSA years and the years of star QB Gino Guidugli. Approaching the .500 mark will be tough for head coach Mark Dantonio.